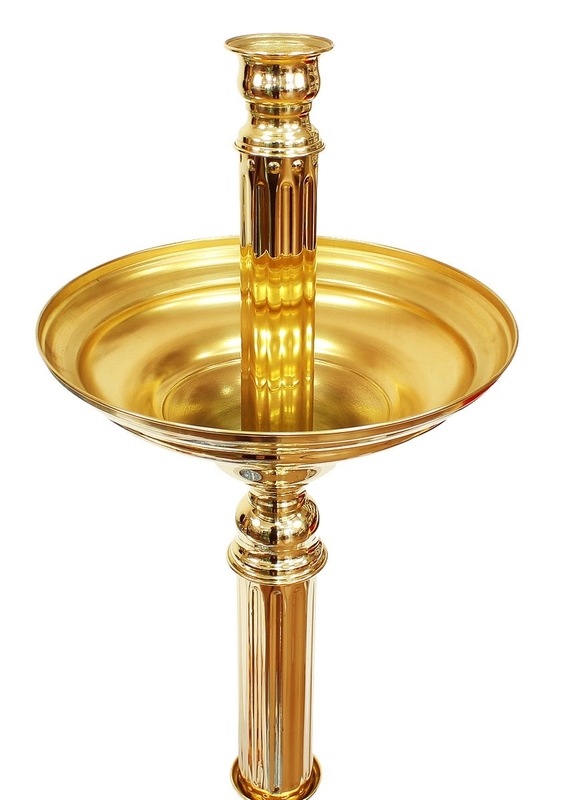 Church floor sand candle-stand - 85 - Istok Church Supplies Corp. Traditional Orthodox Church floor candle-stand. Brass, hand-casting. Size: 15.7''x53.1'' (40x135 cm).